Home / News & Events / Recipes / Rhubarb Gin! 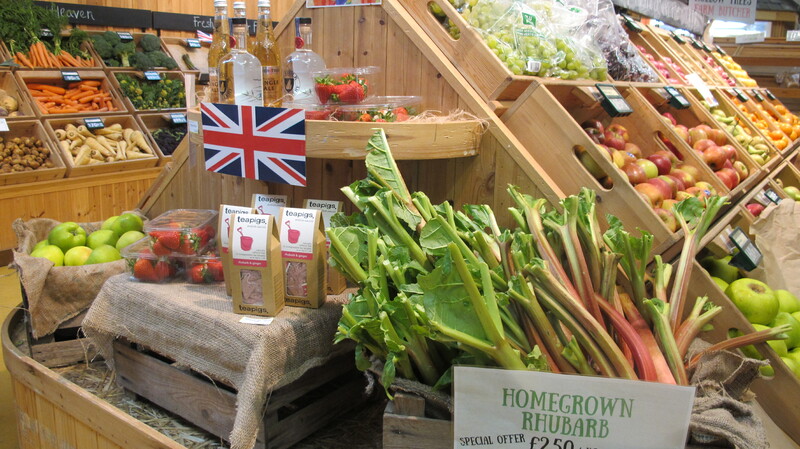 With our home grown rhubarb now in season, it’s the perfect time to make some rhubarb gin! It’s so simple, you can’t go wrong…and what’s best if we have everything you need in our Farm Shop for the recipe. Wash and trim the rhubarb. Discard the base and leaves. Place in a jar with the sugar, shake thoroughly and leave overnight. This will draw the rhubarb juice out. After 24 hours, add the Suffolk Distillery Gin to the jar. Seal and shake. Leave for about 4 weeks before drinking. Serve either with the rhubarb sticks still in our strain them out if preferred. Perfect for a G&T, with soda water for a refreshing summer drink or why not try adding to Fever Tree Ginger Ale for a bit of a kick.